The Colony House condos in Atlanta are located at the corner of 14th Street and Peachtree Street, right in the heart of Atlanta’s Midtown neighborhood. If you’re even the slightest bit familiar with Midtown, chances are you already know that living here means you’ll enjoy quick and easy access to plenty of area amenities and attractions, and that’s especially the case when calling Colony House home. Inside, condos for sale at Colony House have a clean and rather contemporary look and feel, while units tend to offer between two and three bedrooms in most instances, which means plenty of living space for anyone wanting a new condo here in one of Atlanta’s most sought after neighborhoods. 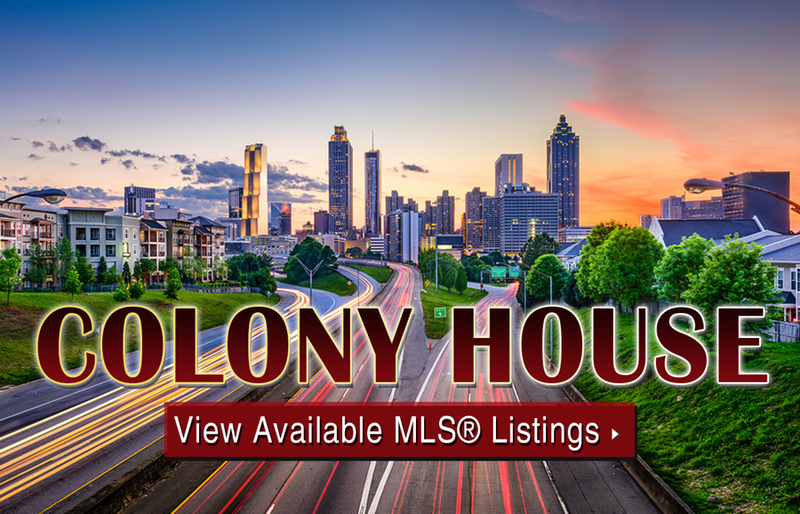 If you’d like more information about Colony House condos for sale in Atlanta, call us today at (404) 564-7272, or click below to start browsing active listings at this amazing Midtown condo development. Listed below are recently closed sales at Colony House. Whether you’re thinking about buying or selling a unit in Colony House, checking to see what other comparable properties have sold for in recent weeks and months provides helpful insight into current market conditions for the building. For more information about Colony House condos for sale or for a complete list of recent condos sold in the neighborhood, contact The Zac Team today! Colony House condos offer direct access to the Colony Square shopping complex, which features a Starbucks, a number of restaurants, and plenty of other amenities for residents to enjoy. Behind the building sits Yonah Park and Winn Park, while countless cultural attractions and shopping and dining destinations line nearby Peachtree Street. To learn more about what else is near the Colony House condos, check out the map we’ve provided below. Can’t find what you’re looking for at Colony House Atlanta? Start browsing other Midtown real estate for sale or give the Zac Team a call at (404) 564-7272 for help with your new home or condo search today!